I sometimes have mentioned that I have gotten many benefits from getting my eating under control. More than being in a smaller, healthier, more comfortable body. More than no longer being obsessed with food. There’s a long list, frankly. Self-confidence, integrity, peace, happiness and love are just a few. But this week I am really struck by one of those gifts. A specific kind of patience that I have acquired. Patience to learn and improve. Growth patience. 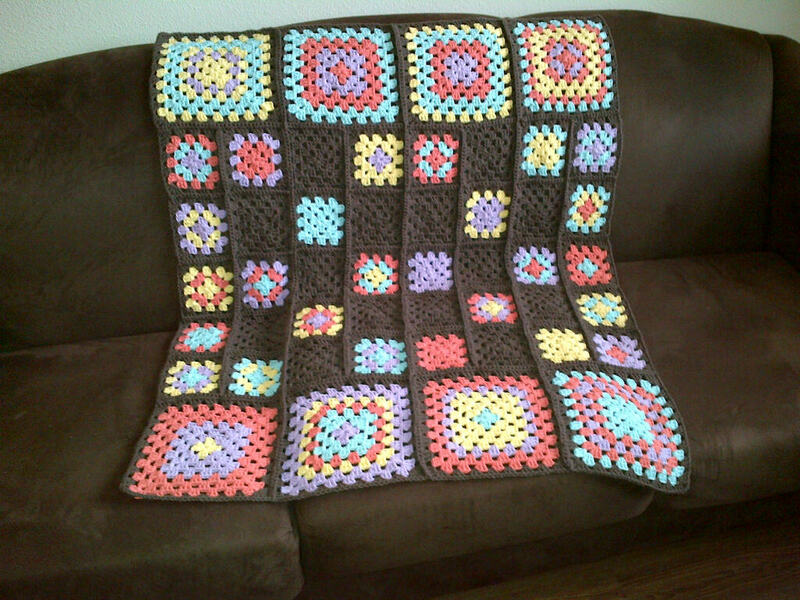 When I was a small child, my grandmother taught me how to crochet. She taught me one stitch, and how to make rows of that one stitch. But I don’t remember ever finishing anything as a kid. Not a scarf or a blanket. Not a pot holder. Perhaps I did. But for most of my life, I thought of myself as someone who never finished anything she started. And I would say that I thought of myself that way because it was true. 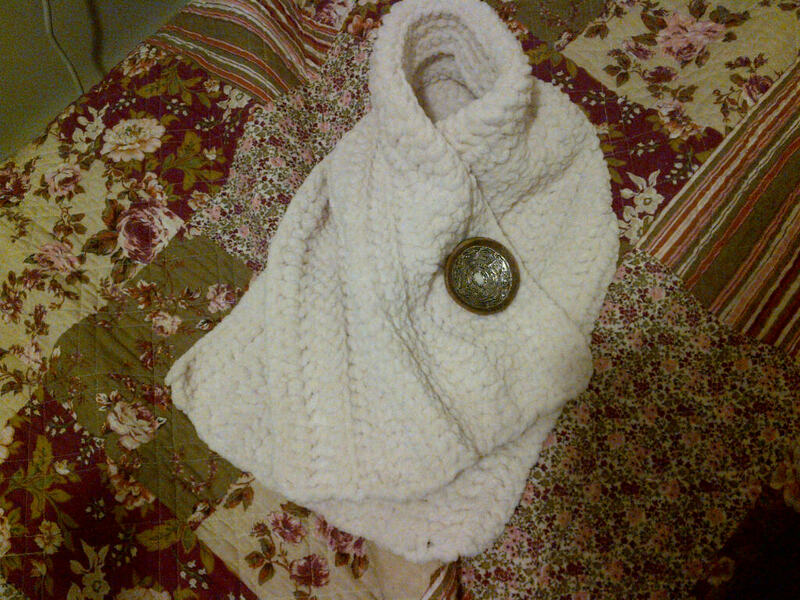 In my early 20s I took up crocheting again. But I did it feverishly. And with no concern for the quality of my work. Or the quality of materials I used. I half-assed a few hats and scarves because they were quick and easy. 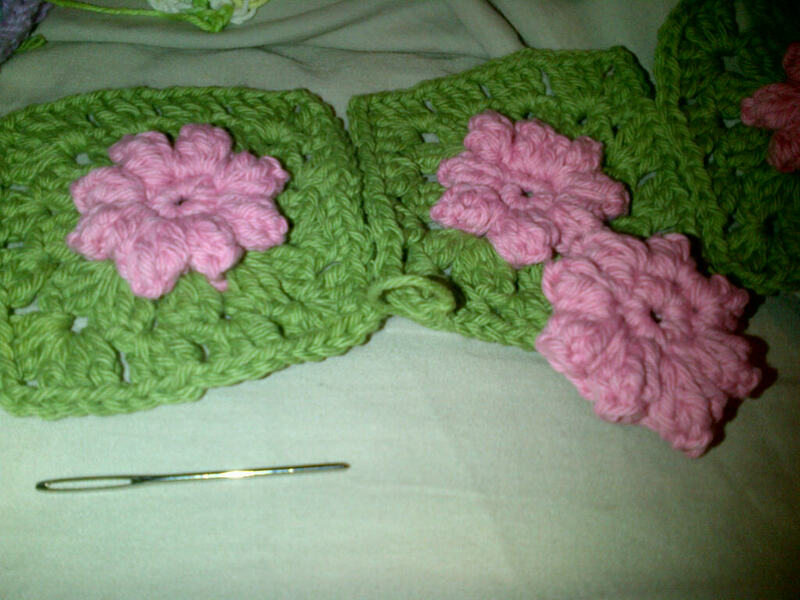 I would get impatient to be done and would start making my stitches bigger to hurry up and get it over with. I even started using the wrong size tools so that I could make bigger stitches in smaller yarn. I had zero patience. I’m not sure why I even wanted to crochet back then. I don’t remember enjoying the process at all. But in the past 10 months, I have completed and given 7 homemade gifts, made 2 blankets, a hat and a scarf for myself, and have 2 small complete throws sitting in my closet that don’t have recipients. And I am in the process of 2 new projects at the moment. Some have been quite large and time consuming. Some have been smaller and quicker. But they are complete. And they have been good. I take my time. I care about both the quality of my work and the quality of my materials. I am proud of what I make. Mostly because I have been patient about learning. And practice. I have been willing to make the best thing I can with my current skill level. And then to take the time to learn something new. And to make a project with my new knowledge. And then to practice some more. And to be content to be where I am without needing to be the best right away. Don’t get me wrong. I got a little ahead of myself in the beginning. Wanted to go from making a scarf to making a dress in an instant. Tried to make a dress. And failed. But I decided that was ok. I didn’t quit crocheting. Instead I decided to quit having ridiculous expectations of myself. I decided to take a step (or ten) back, and get better at what I already knew. And then I decided to learn a little something new. And get comfortable with that. Because one thing I learned from getting my eating under control, is that pretty much everything worth anything takes time. Losing weight takes time. Changing the way you think takes time. Getting the life you want takes time. Becoming the person you want to be takes time. That slow and steady wins the race. And it’s always only a journey. That there is no destination. My life eating was all about destination. And accomplishment. One destination to the next kept me from ever being satisfied. My worth was based on getting everything right and/or perfect. And that still didn’t propel me to doing things right or perfect. It more just kept me from ever getting anything done. Out of fear and shame. Getting my eating under control has taught me patience. I have to be patient for my next meal. And in between meals is time to do something. Anything. Have an experience. Read something. Walk somewhere. Learn something new. Make something. 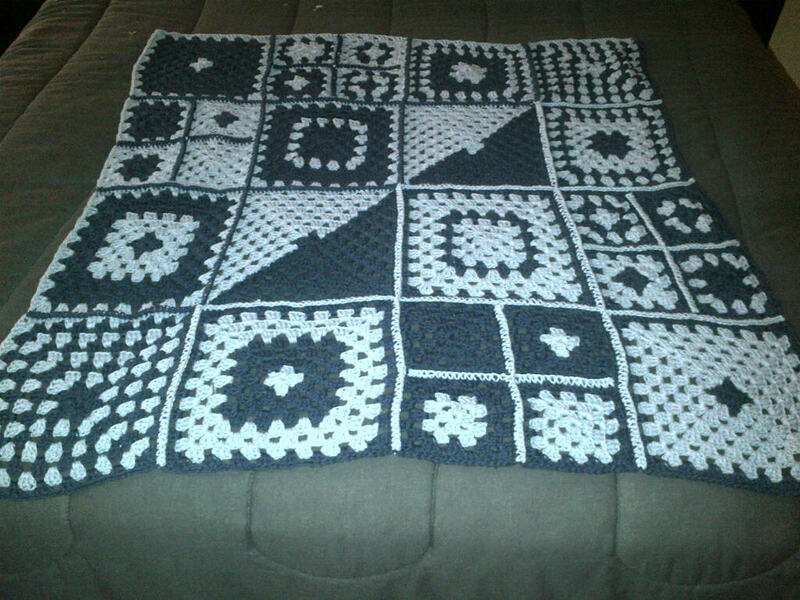 For the most part, I am still making blankets. I’m not quite ready to move on to sweaters or dresses yet. 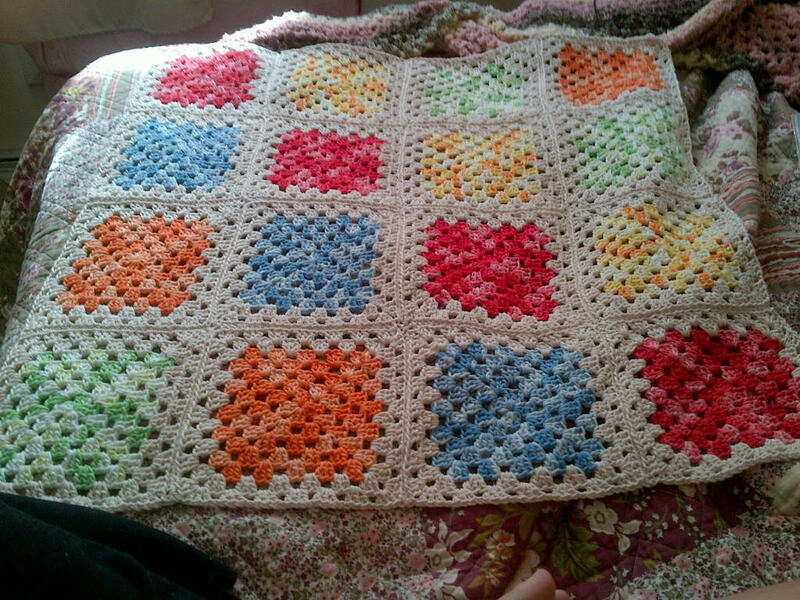 But it has been less than a year since I started crocheting again. And perhaps I never will move on to sweaters. 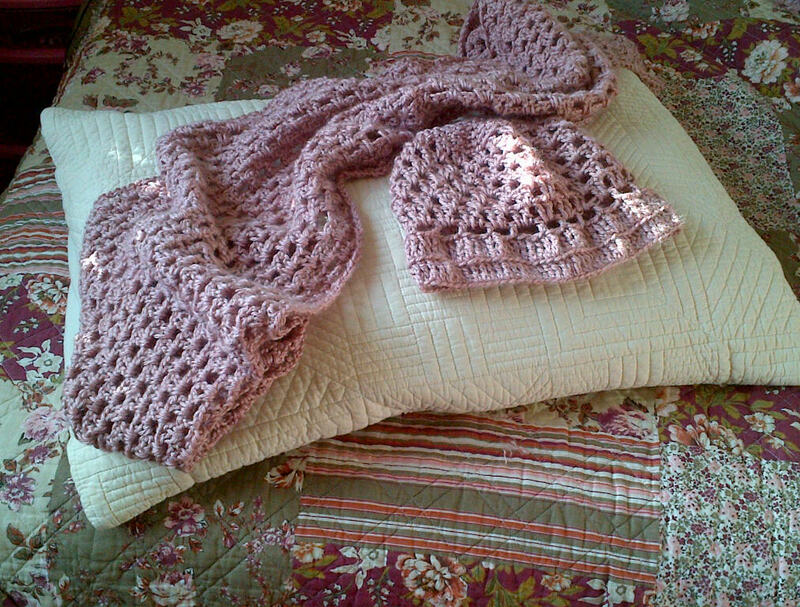 Perhaps I will only ever make scarves and hats and blankets. I don’t have to decide today. I just have to get better at what I know. And decide what I want to learn next. I learned that from putting boundaries around my food. 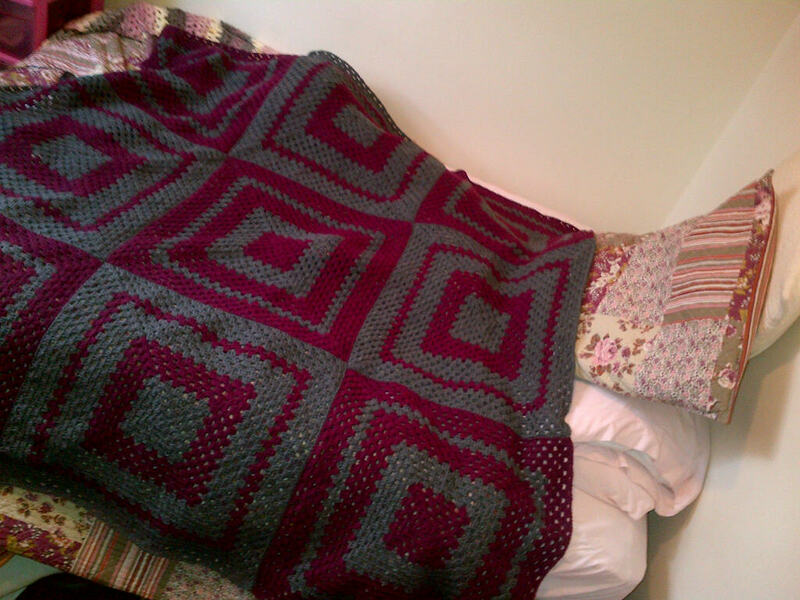 I’m posting some pictures of a few of the things I have made since last November when I started crocheting again. Since May, when I started to lose the weight I gained from quitting smoking, weigh day has become less and less scary for me. When I was continually gaining, with seemingly no rhyme or reason, and no correlation to what I was eating, I was constantly afraid. I worried about stepping on the scale no matter how far away it was. I was worried about November 1st on October 2nd. Just last week I wrote about how I’m not so worried about my weight lately. And that’s true. Even on Wednesday (7/31) I wasn’t worried. Aware, yes. Thrilled about getting on the scale, no. But not worried. Wednesday night I had a crazy nightmare. First, I started to eat before I weighed myself (which is not something I do in real life. I have my weigh day ritual. I weigh myself bone dry before I so much as take a sip of water and after I *ahem* go to the bathroom.) But then I remembered it was weigh day, so I stopped eating and I ran home. I told a friend who was standing outside my door that I had forgotten to weigh myself as I ran past her. And I downloaded a free app to my bathroom scale that would make it talk to me in the voice of The Cat in the Hat (a la the 1971 animated special. What the hell. It was free.) So I got on the scale and it told me I had lost 4 lbs. “Ho ho! It went in the direction you wanted it to go!” But when I looked down, I noticed that the scale was not flat on the floor. And that my floor was so cluttered with junk that I couldn’t find a flat place to put it. But I finally found a place to put it. Only when I went to step on it, the app kept giving me various menus, and I had to figure out which one was the right one to tell me *my* weight, not somebody else’s. This absolutely occurs to me as hilarious now. Both ridiculous and humorous. But at the time it was an out-and-out nightmare. I was overwhelmed with fear and anxiety. And it took a long time for me to get out of bed Thursday morning. I did not want to get on that scale. But I did. And I lost half a pound. I have lost 6 lbs total in the past 4 months. It takes a lot of thought management to deal with my body image disorders. And even then there is only so much I can do. I didn’t want to have that nightmare. And it would be ludicrous to blame myself for my subconscious working things out. Thankfully, there are boundaries in my life. Actions that I take and don’t take. Things that make nightmares and thoughts and wants utterly insignificant. I weigh myself on the 1st. And only on the 1st. It’s what I do. It doesn’t matter how I feel about it. I eat within my food boundaries. Always and only. It doesn’t matter if I’m hungry or not. It doesn’t matter how I feel about it. There is a freedom in that which is counter intuitive. It may seem like a limitation. But what it frees me from is being a slave to my feelings. And having to decipher which of my feelings are real and honorable, and which are my crazy trying to get out. Weighing myself when I have made a commitment to do so makes it go away. I don’t have to second guess myself. I don’t have to wonder if I made the right decision. It doesn’t have to stay with me and haunt me. I can let it go. And it will actually go. So after I weighed myself Thursday morning, I spent the day cooking and packing food within my boundaries to take with me to the airport on my way for a family visit this weekend. I made and packed a full day’s worth of food, even though we should land before lunch and long before dinner. Just in case of delays or unexpected trouble. Because whatever my weight, or my situation, or how my plans work out, or don’t, there are still boundaries to keep. And 3 meals every day to be relished and savored. I know that all things are temporary. And I am looking forward to the time when my body becomes a non-issue. Both consciously and subconsciously. But until then, I am grateful I always have rules. Rules that I follow no matter how I feel. Clear and simple.